Kijiji Halifax was used to place the bait for an apartment rental scam at a building that's been in the news before for financial crime. Students are pouring into the univercity town, looking for a place to live in time for class. 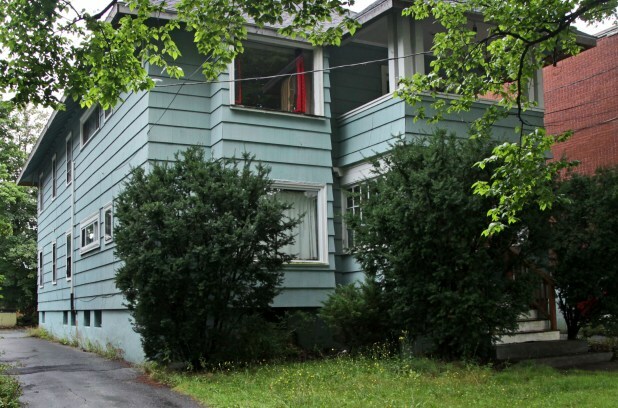 Of course, they're using Kijiji's online classifieds to find rental apartments. And some have fallen victim to a new scam at 1740 Robie St. Between April 11 and May 3, police say they received eight complaints of a similar type of scam there. The typical Kijiji apartment rental scam involves a "landlord" who is out of the country and is unavailable to show an apartment that's supposedly for rent. He or she will have pictures and given an address to drive by and take a look at the exterior. The crook will ask for rent and/or damage deposit to be sent by Western Union or PayPal, and promises keys will be sent by courier. The victim later learns that the landlord was fake, the pictures were probably fake, the apartment was never actually for rent, and the money was gone. It's an easy scam to spot. This time, Detective Constable Dana Drover of the Halifax Regional Police/RCMP Integrated Financial Crime Unit says the updated scam is easy fall victim to and tougher to spot. Drover says "An unscrupulous landlord who took money and re-rented the same place over and over to different people, and unfortunately lost their money and the residence as well." He says the prospective tenants actually got to visit the unit and sign a rental agreement. Deposits and advance rent was paid by cheque, just like in a standard process. The scam is revealed when the "landlord" disappears and the phone line is disconnected. Drover says tenants have to be particularly vigilant in ensuring that the person renting them a space is legitimate. Drover suggests contacting the Better Business Bureau as part of doing one's homework on rentals.